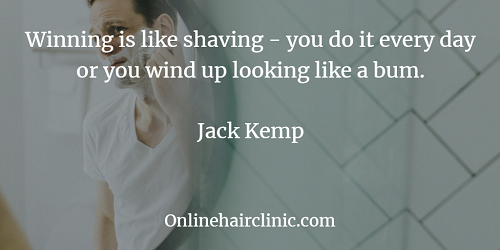 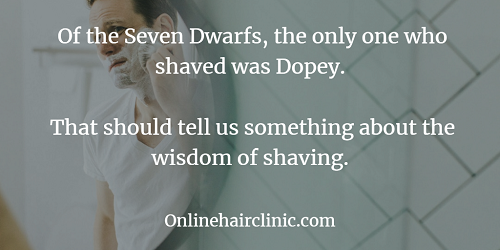 Winning is like shaving – you do it every day or you wind up looking like a bum. 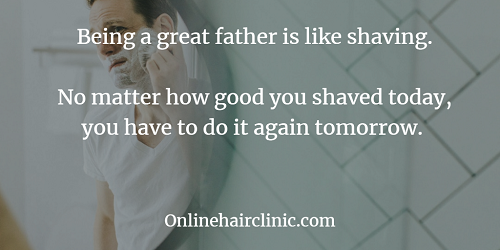 Being a great father is like shaving. 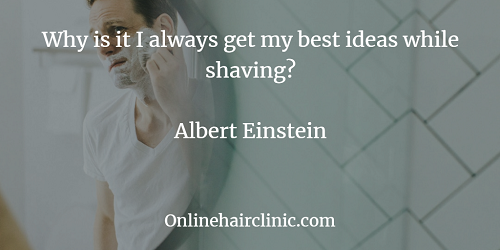 – No matter how good you shaved today, you have to do it again tomorrow. 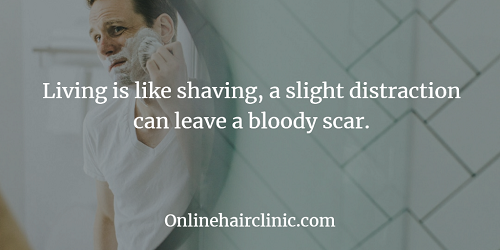 Living is like shaving, a slight distraction can leave a bloody scar. 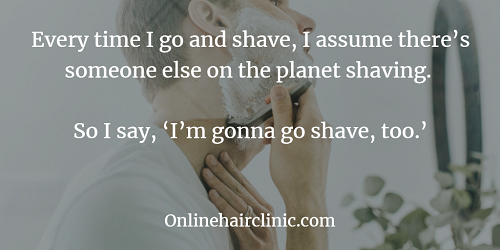 Men who shave their arms and legs, Probably shave their vaginas as well. 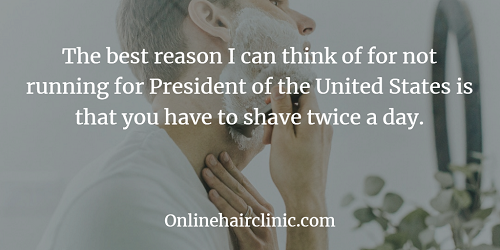 Men with shaved heads are better, just ask my wife. 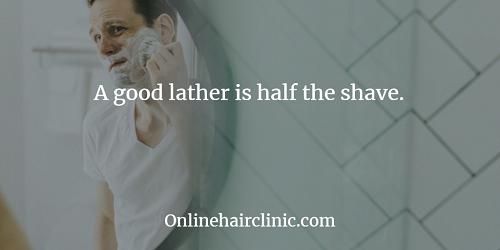 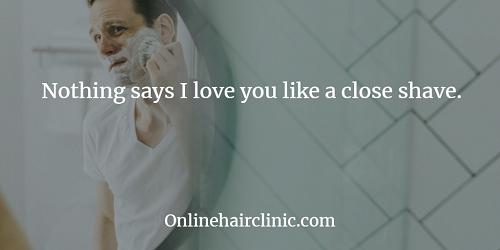 Nothing says I love you like a close shave.